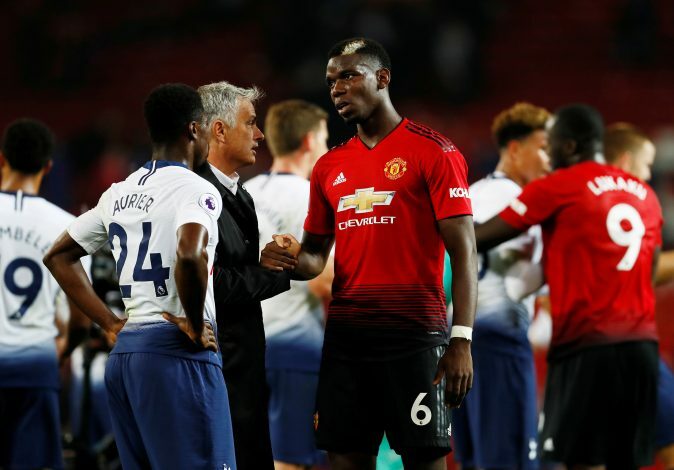 Manchester United fans were left flabbergasted on Monday, as their side suffered a 3-0 loss to Tottenham, bringing their total tally to three points in three games this campaign. This is particularly worrisome, as the Red Devils played really well in the first half and almost had a chance to go one up, and were expected to be the better side in the second half. However, a quick goal from Harry Kane and a decisive brace from Lucas Moura sealed the three points in favor of Spurs. Clearly, United supporters weren’t the only ones surprised by the results. A sentiment that is bound to be felt by most Red Devils was echoed by the French midfielder, as he concluded: “I think that this is a defeat that we did not deserve. When you want something… football can be cruel. United next face Burnley on Sunday, which will be an away game that fans, players, and Jose Mourinho alike will be desperate to win, and in resounding fashion.